In a post-Outside Lands stupor, my friend Alicia and I ventured out to the Outer Richmond for breakfast before her flight. 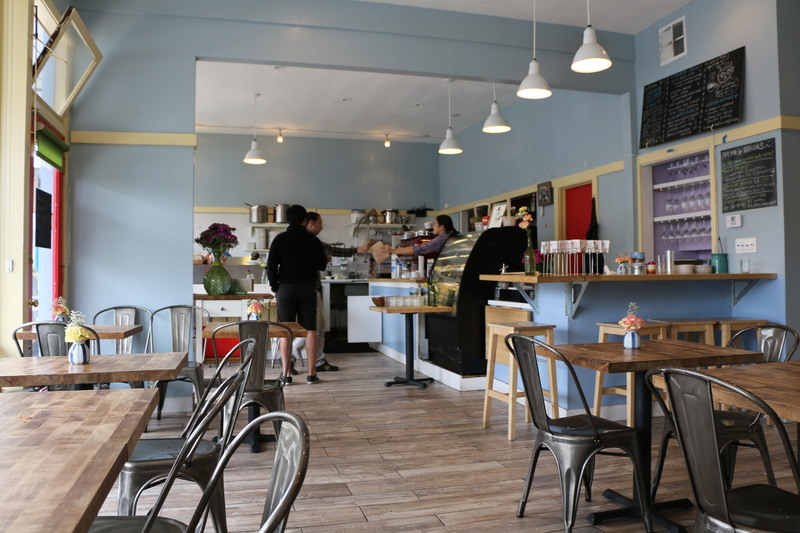 Cassava is a hip and trendy restaurant open for breakfast, lunch, and dinner. For morning meals, Cassava is known for their Japanese breakfast, which is exactly what it sounds like – a traditional Japanese breakfast, providing a different and unique break from the traditional American breakfast. 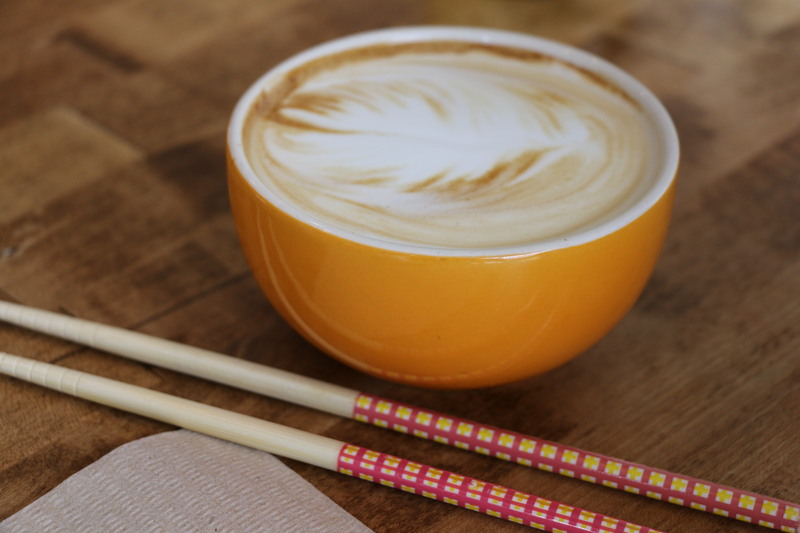 Every once in a while, maybe you should eat breakfast with chopsticks. We basked in the nice sunlight shining through the large windows and enjoyed the plethora of different flavors in our meal. Spiced Honey Latte – awesome, albeit a little too sweet for my taste. Spiced Honey Latte Pt. II – Iced, with no added sugar. Even more awesome. The Japanese Breakfast – koshihikari rice, seared albacore, cured lemon natto, house made miso, market pickles, “hot spring” soft poached egg. We were not huge fans of the natto, but every other dish was great. Scramble Eggs + Toast + Jam – fluffy scramble eggs in olive oil, rustic levain toast, house made market fruit jam, small salad. A Richmond gem. Who says the Richmond isn’t hip?